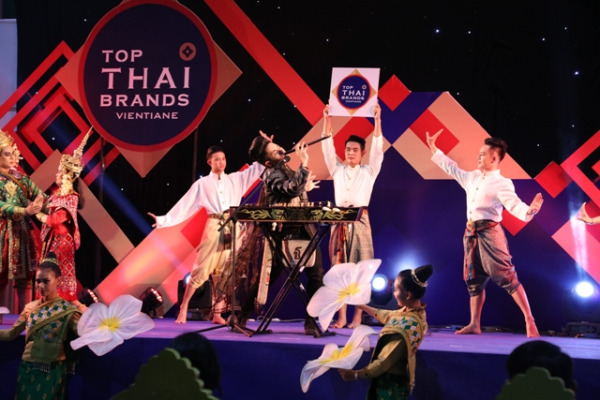 (KPL) Top Thai Brands 2019 was launched at Lao ITECC in Vientiane Capital on Mar 6. 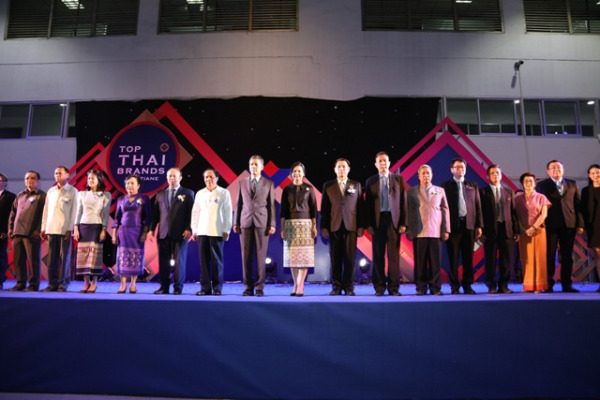 The event, scheduled for Mar 7-10, has drawn more than 200 booths representing Lao and Thai companies. Present at the launching ceremony included the Vice Minister of Industry and Commerce Mr Phanthong Phitthoumma, the Director of the Trade Promotion Department, Ministry of Industry and Commerce, Mr Xaysomphet Norasing, the Vice President of the National Chamber of Commerce and Industry, Mrs Chanthachone Vongxay. 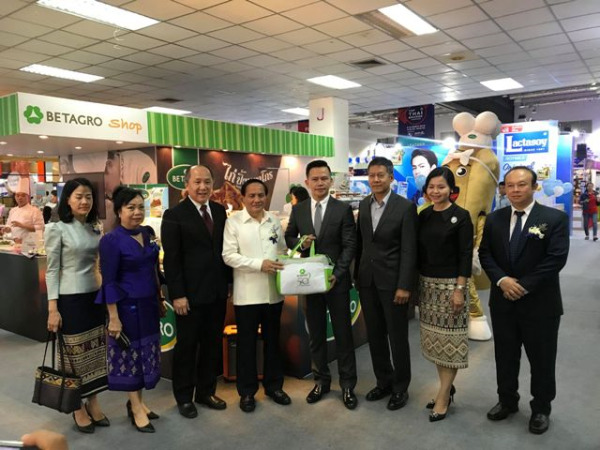 Exhibited and put on sale at the event include a wide range of industrial products including instant food, agricultural products, electronics, educational equipment, and products labelled One District One Product (ODOP) of Laos. The event also features innovations of renewable energy. “This year, Food Truck, a new type of business, which is investment worthy. And we believe that it will grow well in the Lao PDR. This event aims to encourage trust among consumers in neighbouring countries in the competitiveness of Thai products which are of quality and standard,” said Ms Yani Srimichai, Trade Attaché, embassy of Thailand in Vientiane. “This event is a gathering of entrepreneurs, business people from Thailand to inspire their Lao fellows to increate the bilateral trade between the two countries. Its main objective is to promote entrepreneurial and business networking between Laos and Thailand,” added Ms Yani. Seminars have also been scheduled to take place on the sidelines of the exhibition. The seminars, some on product design, will be conducted by high-profile business leaders from Thailand. The event is being co-organized by the Department of Trade Promotion of the Ministry of Industry and Commerce of Laos and the Department of International Trade Promotion of the Ministry of Commerce of Thailand.